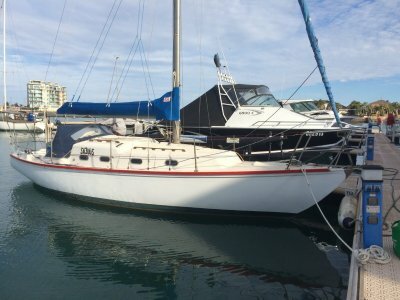 The perfect club training boat with its large uncluttered cockpit and easy maintaninance the 2013 Hunter 22 with very little use is ready to step onboard and go sailing. Hunter is a well respected design and build in the industry, this is no exception. The trailer has had all the upgrades needed to . 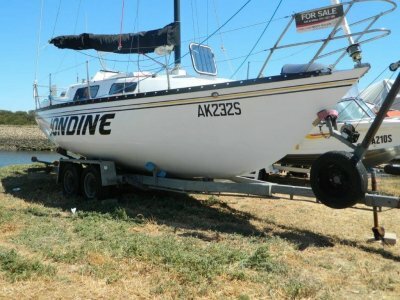 . .
'Jondine' is one of the best presented trailer sailors of my time in the business. 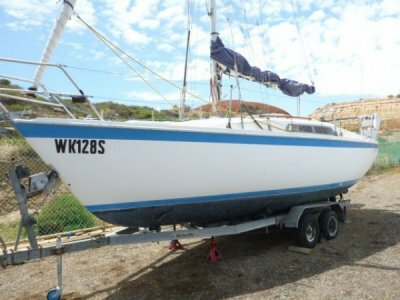 She is clean polished, mast in great condition trailer in excellent condition and out board motor Honda. I didn't get a chance to see inside on the day I was at the club but if outside is anything to . 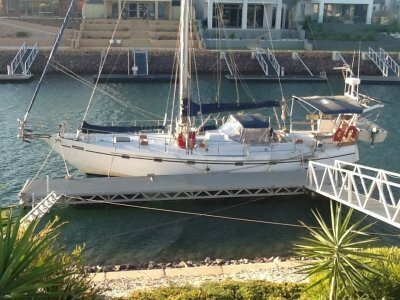 . .
'Quandong' is an immaculate Duncanson 29 with many recent upgrades. 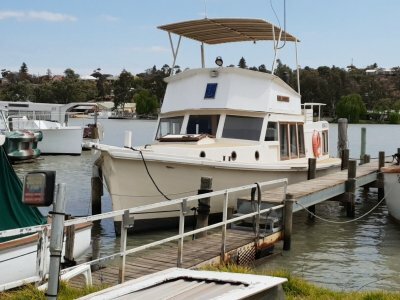 In 2017 the rigging was replaced and new sail covers were instated, the batteries were replaced, in 2016 all the safety gear was upgraded with spectra lifelines marine radios and EPIRB. In 2016 the exterior hull was . 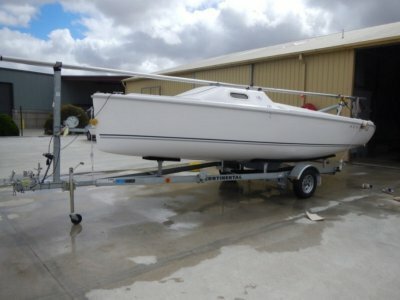 . .
Sold prior to listing this beautiful Cole 23 please register your interest if there is a boat you are looking for. Or if your selling call me I have a list of buyers that might be looking for what you have on offer. . . . 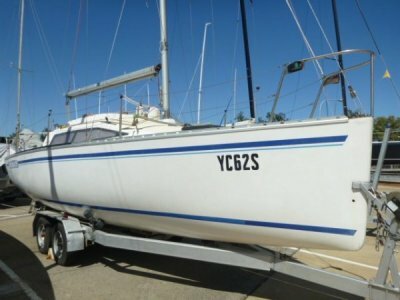 HUGE PRICE REDUCTION and Sailing to Adelaide early in the new year. 'Moody Blue' The perfect live a board or blue water cruiser with everything needed to step on and go. She was built to the highest standards in New Zealand in 1985 by Raymond Gibson Smith. 5mm steel plate in the hull, 3mm . . .
'Electra' is a lovely boat with a very successful race record. Father and son plus a number of friends proved hard to beat at the CYCSA. Over the past few years this boat has won almost everything and with its very comprehensive sail wardrobe they have left nothing to chance. But what . . .
'Arundle' is a beautiful river boat with classic lines and a practical stylish interior fitout. This historic timber craft was built in Port Adelaide in 1942 by GMH. Constructed with 32mm Oregon planks she has been well maintained with decks glassed over. It has a light, airy open feeling . . .
'Lambordingi' is a beautiful boat with a solid timber hull. 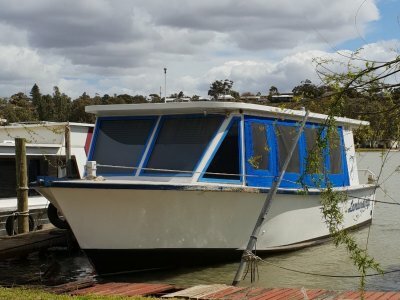 Once a cray boat now living life as a river boat cruising the beautifully Murray. She is an economic boat to run and a boat capable of higher speeds than many boats of its kind. The Western red cedar lining gives the interior a . . . Bow Rider what an incredible design great entertaining sunning area built into the bow leaving the aft area clear and uncluttered for fishing. Awesome boat for the whole family to enjoy. With its 90hp outboard she would also make a great ski boat on the River so for the all round well priced entry . . . 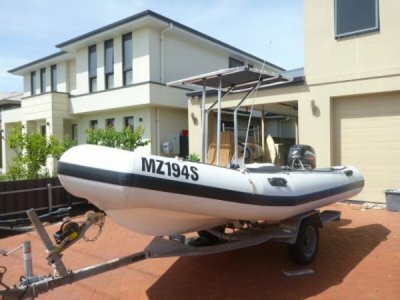 Fully restored Zodiac with new inflatable pontoons and new shade and a well maintained well balanced trailer. This is a great boat the engine was completely rebuilt 3 years ago and runs really well. 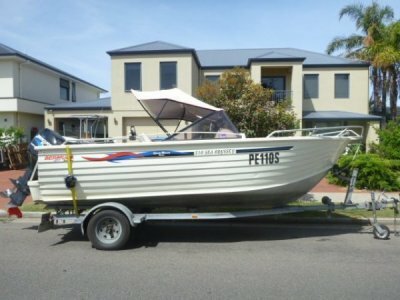 It is Ideal for coaching kids sailing, or taking the family on surfing or wake boarding adventures. . . .